Make lemonade as directed on can in large pitcher. Stir in cranberry juice cocktail and enough ice to chill. Just before serving, stir in ginger ale. For festive ice cubes, cut lemon, lime or orange peel into star shapes. Place star-shaped peel and cranberries in ice-cube trays, and fill with cranberry juice or water. Serve frozen cubes with punch. 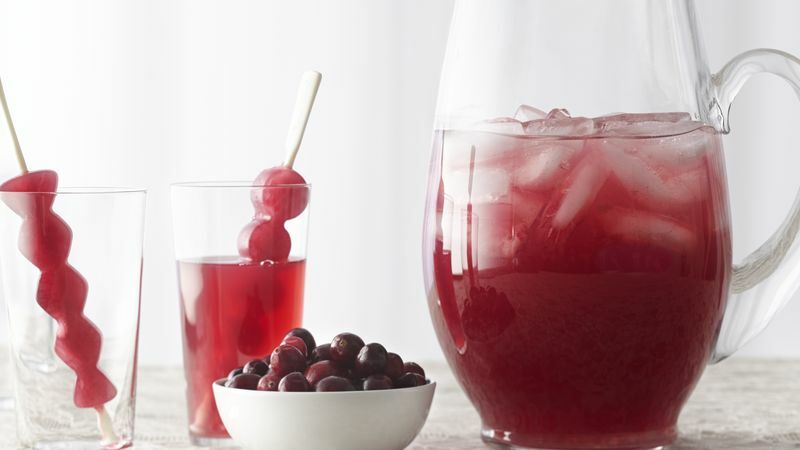 Next time, try this punch with cranberry-apple or cranberry-cherry juice cocktail.